Partners | Consolidated Technologies, Inc. : Consolidated Technologies, Inc.
Consolidated Technologies, Inc. takes pride in partnering with the top technology companies in the world. In order to provide complete end to end services and solutions to our customers, Consolidated Technologies, Inc. is very careful to choose only the highest quality products from outstanding companies. Below you will find company descriptions of some of our esteemed partners. 8×8 is the world’s first Communications Cloud, combining unified communications, team collaboration interoperability, contact center, and analytics in a single, open and real-time platform. 8×8 eliminates information silos to expose vital, real-time intelligence across all clouds, applications and devices to improve individual and team productivity, business performance and customer experience. At 8×8, we help companies get their employees, customers and applications talking to make people more connected and productive no matter where they are in the world. Our solutions provide unmatched value for organizations across the globe by reducing complexity and cost, improving individual and team efficiency and performance, and enhancing overall customer experiences. Learn more here. 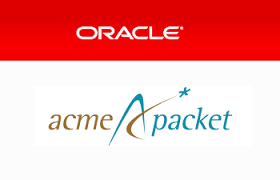 Acme Packet, now part of Oracle, is the leader in session border control solutions, enables the delivery of trusted, first-class interactive communications—voice, video and multimedia sessions—and data services across IP network borders Acme Packet enables trusted, first-class delivery of next-generation voice, data and unified communications services and applications across IP networks for service providers and enterprises. family of session border controllers, multiservice security gateways and session routing proxies supports multiple applications in service provider, enterprise and contact center networks—from VoIP trunking to hosted enterprise and residential services to fixed-mobile convergence. They satisfy critical security, service assurance and regulatory requirements in wireline, cable and wireless networks; and support multiple protocols—SIP, H.323, MGCP/NCS, H.248 and RTSP—and multiple border points—service provider access and interconnect, and enterprise access and trunking. These solutions are deployed by more than 1,900 service providers and enterprises globally, including 89 of world’s top 100 communications companies. American Power Conversion (APC) provides protection against some of the leading causes of downtime, data loss and hardware damage: power problems and temperature. As a global leader in network-critical physical infrastructure (NCPI) solutions, APC sets the standard in its industry for quality, innovation and support. Its comprehensive solutions, which are designed for both home and corporate environments, improve the manageability, availability and performance of sensitive electronic, network, communications and industrial equipment of all sizes. Aruba Networks®, a Hewlett Packard Enterprise Company, designs and delivers mobility-defined networks that empower a new generation of tech-savvy users who rely on their mobile devices for every aspect of work and personal communication. Known as #GenMobile, they demand to stay connected to everything all the time, no matter where they are. To create a mobility experience that #GenMobile and IT can rely on and trust, Aruba Mobility-Defined Networks automate infrastructure-wide performance optimization and trigger security actions that used to require manual IT intervention. Mobility-Defined Networks control the dynamic mobility environment by correlating real-time data about users, devices, apps and location. Self-healing and self-optimization functions dramatically reduce helpdesk tickets and protect enterprise data. Aruba employs a software approach that extends mobility intelligence across wired and wireless networks all the way to users, devices and apps. This makes Aruba Mobility-Defined Networks amazingly easy to deploy without any changes to the existing infrastructure. As a result, customers can rightsize their fixed network infrastructure, which saves IT time, slashes capital costs and accelerates the delivery of network services. They can even engage guests and employees with personalized push notifications based on their indoor location. The Aura Alliance was established in 2009 by leading industry professionals. Why? Multinational companies were struggling to deploy and support their Avaya on a global scale, and we rose to meet this challenge. Avaya technology is some of the best on the market, used by over 95% of Fortune 500 companies. Unfortunately, complications like multiple partners, contracts and SLAs across varying countries, language barriers, taxes and customs charges combine to create a huge administrative IT burden. To help companies overcome this increasing complexity, we’ve brought together more than 50 certified partners and over 3,200 Avaya-accredited specialists across 120 countries. Quite simply, we’re the world’s largest Avaya-endorsed global alliance. In fact, we’re the only alliance to offer one single SLA, point of contact, support service and contract. As a result, we can align all business processes and operating models – a unique service that allows us to take the complexity out of your enterprise communications. No one else is better qualified to plan, deploy and maintain converged communication solutions for multinational organizations. Auvik is network management for Managed Services Providers (MSPs). With Auvik, MSPs know about network issues before their clients. They can provide clients with strategic guidance to evolve their networks so they’re always fit for purpose. And they reduce business risk associated with the network. Auvik’s cloud-based software reduces the complexity of managing a network to simple, automated steps. For MSPs, this means network management becomes an efficient and profitable service. For businesses, it means they continue to rely on their MSP. The entire world runs on networks. At Auvik, we’re doing our part to make sure it keeps running. Avaya is a leading global provider of next-generation business collaboration and communications solutions, providing unified communications, real-time video collaboration, contact center and data solutions, and related services to companies of all sizes around the world. Avaya helps our customers bring people together with the right information at the right time in the right context, enabling business users to improve their efficiency and quickly solve critical business challenges. Because our solutions are based on open standards, our customers can decide what works best for them. Our objective is to give people the best collaboration experience, regardless of the devices, locations, or media they choose. AVST With 35 years of continuous innovation, Applied Voice & Speech Technologies, Inc. (AVST) is a trusted developer of software-based Unified Communications (UC) solutions for businesses of all sizes. Our mission is to develop communications solutions that transform the productivity of individuals, teams and businesses while leveraging the value of their existing and evolving IT infrastructure. Thousands of businesses worldwide rely on AVST to meet their “mission-critical” communications requirements today, align their business with key trends and, with the world-class interoperability and delivery models of AVST’s UC solutions, provide a bridge to their digital future. Calero Software (formerly Veramark Technologies) offers VeraSMART eCAS wireline and wireless call accounting software – the time-saving reporting tools for busy Telecom/UC Managers. VeraSMART is compatible with Avaya, Cisco, Microsoft Lync and other unified communications platforms. Calero also offers a suite of global Enterprise Communications Management solutions, including Expense Management, Managed Mobility Services, Usage Management, and Telecommunications Management. Cisco Cisco’s data Infrastructure enables people to make powerful connections-whether in business, education, philanthropy, or creativity. Cisco was founded in 1984 by a small group of computer scientists from Stanford University. Since the company’s inception, Cisco engineers have been leaders in the development of Internet Protocol (IP)-based networking technologies. Today, with more than 65,225 employees worldwide, this tradition of innovation continues with industry-leading products and solutions in the company’s core development areas of routing and switching, as well as in advanced technologies. CRI For the past 20 years CRI has provided cutting edge solutions to our customers and built long lasting partnerships to ensure the most complete array of Communications products. Our goal is to provide our customers Tomorrows Solutions, Today! Our solutions are based on our customers’ needs not a particular product. What makes the CRI experience so unique is our focus and commitment to delivering turnkey solutions for messaging, unified messaging and now unified communications. Focusing on this niche has enabled CRI to exceed the expectations of our clients nationwide. When you choose CRI you choose expert service with a commitment to quality. Dell Inc. is a multinational computer technology company based in Round Rock, Texas that designs, develops, and manufactures personal computers (PCs) and a variety of computer-related products. The Company offers laptops, desktops, tablets, workstations, servers, monitors, printers, gateways, software, storage, and net working products. Duo Security helps defend organizations against data breaches by making security easy and effective. Duo Beyond enables organizations to provide trusted access to all of their critical applications, for any user, from anywhere, and with any device. Duo is a trusted partner to more than 10,000 customers globally, including Dresser-Rand, Etsy, Facebook, K-Swiss, Random House, Yelp, Zillow, Paramount Pictures, and more. Founded in Michigan, Duo has offices in Ann Arbor and Detroit, as well as growing hubs in Austin, Texas; San Mateo, California; and London, UK. Enghouse Interactive is a leading expert in customer communications. The contact center is at the heart of your business, which provides opportunities to differentiate your company’s service, as well as gain feedback and build customer loyalty. With increased demands from customers, companies require a communications platform that’s agile enough to quickly and efficiently respond to customers from any channel, at any time; connecting them to your business rules, while providing actionable intelligence to drive ongoing improvement. Our unique omni-channel contact center solutions offer choice and flexibility. They are also scalable in deployment, size, complexity and integration to ensure successful and effortless customer interaction, whatever your budget. Extreme Networks delivers software-driven enterprise networking solutions that create stronger connections with customers, partners, and employees.As one of the world’s largest leading providers of high-performance networking solutions, we offer our customers the highest quality products, the best customer care in the industry and an ease of doing business that helps businesses thrive. Our focus is simple. The best networking experiences and the best customer care. And we take it very seriously. We continue to redefine the high-performance network and our customers are counting on us. From mission critical communications in healthcare, to driving digital classrooms in schools and universities, to fast, secure, and reliable wireless access for cities – we’re focused. 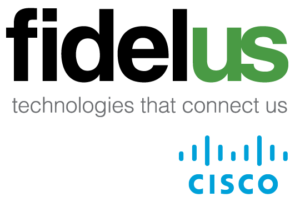 Fidelus, a Cisco Gold Master UC partner, has been providing Unified Communications and Collaboration services to professional services firms (legal, engineering), healthcare and financial organizations for over 15 years. Fidelus works with clients to determine, design and implement the optimal combination of collaboration products and services tailored to their specific needs. HPE is the right choice for your enterpriseWe are here to help you build an infrastructure that’s designed for your business needs. HP is investing to unify across the data center infrastructure so that customers can standardize on management tools, enclosures, power monitoring, and the like while leveraging their investments. Are spiraling power and cooling costs draining your budget? Our energy-saving tools and technologies can help you significantly cut costs by regulating and monitoring power usage across your infrastructure. Are you trying to get the greatest utilization from yourdata center floor space? We offer a complete portfolio of solutions, including small-footprint options. Do you need help scaling up or out, or designing a data center that can change along with your business needs? Look to HP. Do you want the broadest range of choice from proven IT providers? Our hardware, software, and service partners deliver thousands of solutions designed specifically for HP products. Founded in December 1994, Intelisys is widely regarded as the industry’s leading Technology Services Distributor of telecommunications network and cloud services in the channel. The company has built a solid reputation with its Sales Partners, Supplier Partners, and end-user customers as a successful and high integrity company that protects its relationships and exists to serve their needs and the needs of their customers. Today, Intelisys is focused on empowering and educating the independent sales channel by assisting business telecom and cloud technologies customers in making informed choices about services, technology and cost savings; increasing their purchasing power; protecting their contracts and increasing their revenue opportunities. Intelisys delivers the best carrier neutral solutions to end-user customers through its Partner community – an elite nationwide network of telecom sales and consulting professionals. Interaction Insight Corporation is a provider of voice recording and other specialized voice applications in the financial services, public safety and call center markets. We are uniquely positioned as a provider of voice recording due to the fact we take a best of breed approach and find the best and most appropriate solution for every engagement. Our agnostic approach is based on our direct experience with the market leaders over the past 20 years in the voice recording industry. Jabra is the brand of GN Netcom, a subsidiary of GN Store Nord A/S (GN) – listed on NASDAQ OMX. Jabra employs approximately 850 people worldwide and in 2010 produced an annual revenue which amounted to DKK 1,973 million. Jabra is a world leader in the development, manufacturing, and marketing of a broad range of hands-free communications solutions. With a reputation for innovation, reliability, and ease of use that goes back more than two decades, Jabra’s consumer and business divisions produce corded and wireless headsets, plus mobile and in-office speakerphones that empower individuals and businesses through increased freedom of movement, comfort, and functionality. LifeSize Communications Inc. is the first company to develop and deliver high definition video communications products. Founded in 2003 by industry veterans and named “Videoconferencing Company of the Year” in 2007 by Videoconferencing Insight. LifeSize’s award winning solutions combine exceptional quality, user simplicity and administrator manageability to make video communications a productive, true-to-life experience. LifeSize is headquartered in Austin, TX with subsidiaries in Europe and Asia Pacific, and a network of channel partners reaching more than 80 countries. MASS Communications is a telecom management organization that brings together the right technology solutions for your business with personal, responsive service to optimize your infrastructure investment. Specialized services with MASS’s personal touch set us apart from the pack. Our professional, tight-knit group of experienced technical and support staff is on call 24×7 to answer your questions and proactively address your telecom needs. For over twenty years, Metropolis Technologies has provided advanced call accounting, 911/emergency management and telemanagement applications for businesses of all types in the US and abroad. Their easy to use applications provide advanced call notifications, over 200+ report templates, toll fraud detection and trunk analysis tools help organizations reduce liability, increase revenue, minimize expenses and boost productivity. We have your solution. Multi-Tech Systems is an ISO 9001:2000-certified global manufacturer of award-winning Unified Communications and device networking products. Since 1970, Multi-Tech Systems has grown into a company with a worldwide reputation for reliable products of innovative design. This reputation is just as strong today. Our goal is to help our customers achieve a competitive advantage by providing solutions that return superior business results. New technologies, same focus: Connecting voice and data over IP networks. Mutare Software For more than 20 years Mutare Software has led the development of breakthrough interactive voice and web applications that meet the demand for powerful, yet simple, enterprise communications solutions. Among the hallmarks of a Mutare solution is the sophistication of its design paired with ease of deployment and use. Leveraging state-of-the-art telecommunications and web technology, Mutare has installed more than two thousand applications worldwide for customers ranging from Fortune 50 corporations to small private firms, government agencies, universities and healthcare organizations. Mutare Software prides itself on its reputation for quality service, unmatched in the industry, as evidenced by a customer satisfaction rating that exceeds 99%. Nectar Services Corporation is a software-as-a-service (SaaS) provider of managed services software and frameworks specializing in converged communications. Working through our channel partners, we enable companies to mitigate risk, centralize systems and management, and dramatically reduce telecommunications expenses. Nectar’s holistic view of business communications, along with our ability to unify disparate communications systems, offers a unique strategy for simplified management and immediate cost savings. NICE inContact is the leading provider of Insight from Interactions solutions and value-added services, powered by the convergence of advanced analytics of unstructured multimedia content and transactional data – from telephony, web, email, radio, video, and other data sources. NICE inContact’s solutions address the needs of the enterprise and security markets, enabling organizations to operate in an insightful and proactive manner, and take immediate action to improve business and operational performance and ensure safety and security. NICE inContact has over 24,000 customers in more than 150 countries, including over 85 of the Fortune 100 companies. Plantronics introduced the first lightweight communications headset in 1962 and is today the world’s leading designer, manufacturer and marketer of lightweight communications headset products. Plantronics headsets are widely used in many Fortune 500 corporations and have been featured in numerous films and high profile events, including the historic “One small step for man” transmission from the moon in 1969. Plantronics offers mobile headsets to address the cordless and mobile phone market, next-generation computer audio headset products for computer applications and corded and cordless headsets and systems for the office, small office/home office and contact centers. Polycom is the only company today delivering end-to-end, rich media collaborative applications for voice, video, data and the Web from desktop and mobile personal systems to room systems to the network core. We are the industry leader in unified collaboration solutions. Our vision is to enable people to connect anytime, anyplace and with any device in a virtual experience as natural as being there. Polycom delivers business value by cutting costs, simplifying system management, and fostering real time collaboration. As a result of this easier, more lifelike collaboration, people are more innovative, efficient and productive, make better decisions, enjoy enhanced relationships and greater satisfaction with their jobs — enabling organizations to be more agile, innovative and therefore globally competitive. RedSky helps organizations of all types capture, manage and deliver the detailed location information necessary to provide effective 911 emergency response.RedSky has been delivering E911 software solutions since 1999 and is the leading provider in the field. With more than 250 customers, 45 in the Fortune 500, RedSky has more customers, more technology and more experience than all other providers. Our laser focus on E911 has produced a long list of technology innovations since 1999. Ribbon Communications Inc. delivers market-leading software solutions that secure and power many of the world’s leading service provider and enterprise communications environments. Built on world-class technology and intellectual property, the company’s cloud-native solutions deliver intelligent and secure real-time communications solutions for the cloud, network and enterprise edge. Ribbon’s Kandy Cloud real-time communications software platform delivers advanced and embedded CPaaS and UCaaS capabilities enabling service providers to rapidly create and deploy high-value communications services. 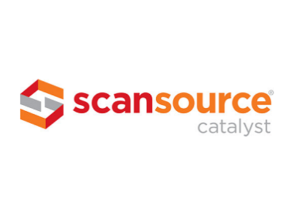 Scansource Catalyst is a value-added distributor of voice, video and data equipment to the reseller community. Scan source more than just another provider of technology products and solutions – we’re your one-stop shop for growing your business. Our line card includes industry-leading manufacturers like Avaya, Jabra, Oracle Communications, Spectralink, and Unify, covering everything from videoconferencing systems to unified communications, wireless, and networking. We invest in the resources, programs, and people that help you find and close more deals. And, we’re dedicated to enabling, training, and supporting you every step of the way. You need a technology provider who goes beyond taking orders and shipping boxes. More happens. With ScanSource Catalyst. Skout Secure Intelligence (formerly Oxford Solutions) provides cyber security monitoring and unparalleled customer service to organizations around the globe. Skout’s security team deploys the industry’s most cutting-edge tools at affordable prices, providing the technology and protection to make cyber security accessible for all. Our Secure Intelligence Platform is led by a team of experts from both the government and private sector. Our platforms are built to scale, so our clients and their customers can benefit from achievements such as our SOC2 certification and CJIS Accreditation. Typically these types of investments are only available to the Fortune 500, we make them accessible to everyone. Sonexis ConferenceManager is an in-house audio conferencing bridge that eliminates the costly pay-as-you-go fees of subscription-based services, while setting new standards for ease of use and administration, flexibility, and control. Designed to work with any existing voice or data network—and available with a fully integrated Web conferencing option—ConferenceManager has been deployed by hundreds of leading organizations with minimal cost or effort. Spectrum Corporation is a leader in real-time digital signage software that provides key operational data to employees and management to improve call center performance. Spectrum software collects data from disparate data sources and displays key performance indicators (KPI’s) in real time on LCD screens, wallboards, desktops, email, web pages and mobile devices. This real time call center data ensures the call center agents are capable of making informed and good business decisions. TASKE Technology is a privately held firm specializing in call management software, headquartered in Ottawa, Canada. Established in 1989, TASKE is well into its second decade of providing the most advanced communications management solutions for the contact center and enterprise.TASKE’s award winning call management products have enabled businesses to provide exceptional customer service as well as increase their customer loyalty and retention. With thousands of installations worldwide, the company offers unmatched technical support and expert training for its entire suite of management tools. TASKE Technology works closely with many industry leaders to provide robust and affordable products for Avaya, Inter-Tel, Mitel, Toshiba, and Iwatsu telephone systems. Valcom has been providing the highest quality loudspeaker paging and telecommunication system enhancement intercom products since 1977. Valcom’s extensive systems offering is manufactured in our state-of-the-art facilities in Roanoke, Virginia USA and include page control interfaces, VoIP LAN/WAN connectivity, ceiling / wall speakers, paging horns, background music, Privacy spot sound masking, power supplies and door entry systems. As the largest provider of telephone integrated paging systems in the world, Valcom is the standard product offering for major telephone companies. We are also the overwhelming choice of Fortune 500 Companies who want to maximize their communications speed and convenience.